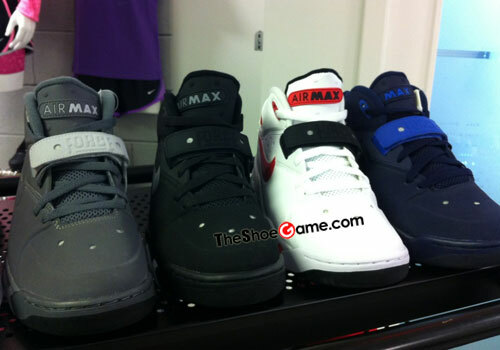 Nike Sportswear will also relive Charles Barkley's days with the Swoosh next year with a release of the Air Force Max in both old and new colorways. Among the several looks on the way, the Barkley-endorsed Air Force Max will return early next year in the original Black/Grey-White colorway made popular by Michigan's "Fab 5" during their '92-'93 season. Three new looks will also be introduced for the Air Force Max, including a grey-based pair and a pair utilizing several shades of blue. Look for the Air Force Max to hit authorized Nike Sportswear accounts early next year.